It's all over pinterest and probably in every wedding you've been to recently! A candle lighting, sand pouring, or knot tying ceremony as a symbolic part of the normal wedding ceremony. These are such great ways to personalize your wedding and show the uniting of two families, and I'm all for them! Today, though I want to share an option that's a little different from the common unity ceremonies - a handwashing ceremony. Kevin and I did this at our wedding, so it's close to my heart, but not just because chose to do it. It's the symbolism behind what it means that makes it so meaningful to me. 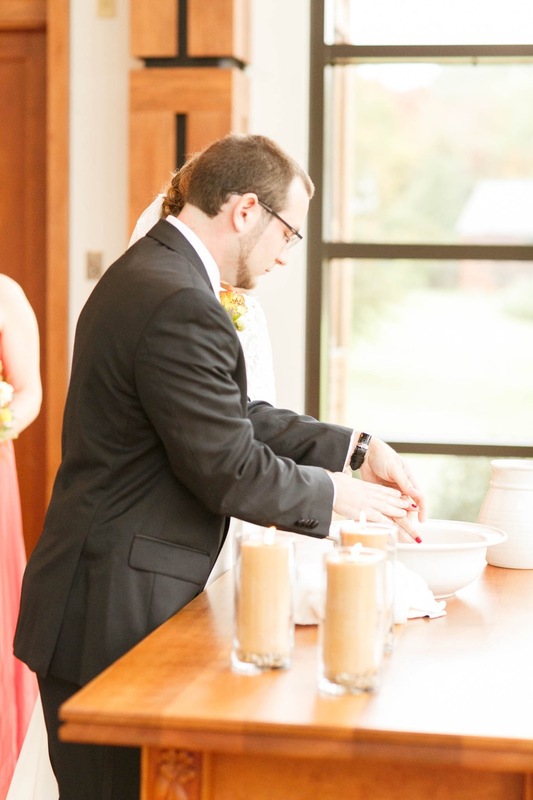 We decided to do a handwashing ceremony because it was more practical than a foot-washing ceremony. The purpose and meaning behind it was the same, but logistically easier! Jesus commands us to do as He did, and in this case, this means to wash each other's feet. By providing such an act of service, Jesus humbles himself to relate to and care for His disciples. He then says that He is an example for us to follow - and that no one is greater than another. Isn't that powerful? In all things, we are to serve each other rather than act as if we are either greater or lesser than someone else. In marriage, this is even more important to realize and understand, which is why having a hand-washing ceremony at our wedding was so significant. By washing each other's hands, we took great care to do something for each other that was an act of service, and to promise to care for each other this way in our marriage. It also felt like we were cleansing ourselves and preparing ourselves for marriage and the start of a new life together, as we said our vows and exchanged our rings right after this part of the service. It's pretty simple. 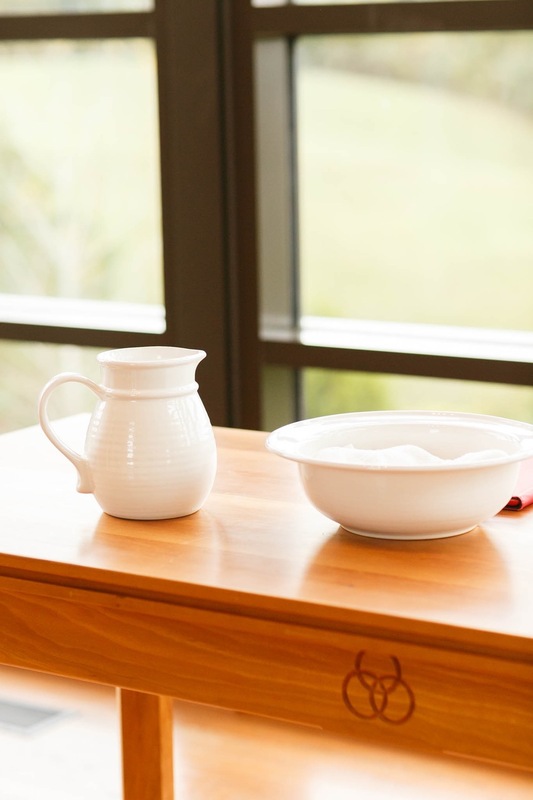 You will need an altar space (a table, specifically), a basin to wash your hands in, soap, warm water in a pitcher, and towels to dry your hands with after. What I would recommend doing is having your officiant pour the water (and provide a blessing) and then step aside as your ceremony musician or DJ plays a song while you wash each other's hands! I loved incorporating this into our wedding, and I'm even more excited that one of my brides this season wants to do this too! I can't wait to see them include this in their ceremony. Happy Planning, Chickadee!